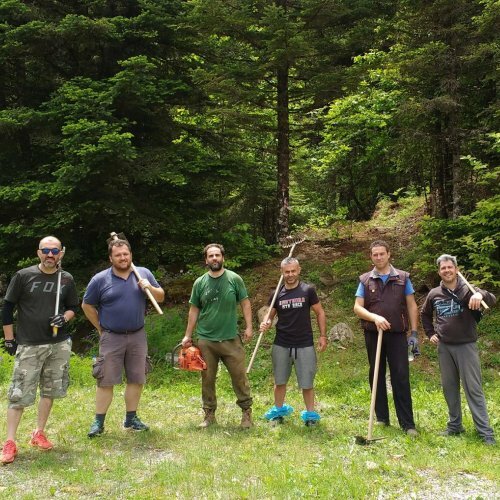 We invite you to participate in the week of conservation of hiking and MTB trails in the mountainous area of Nafpaktia, in Central Greece. 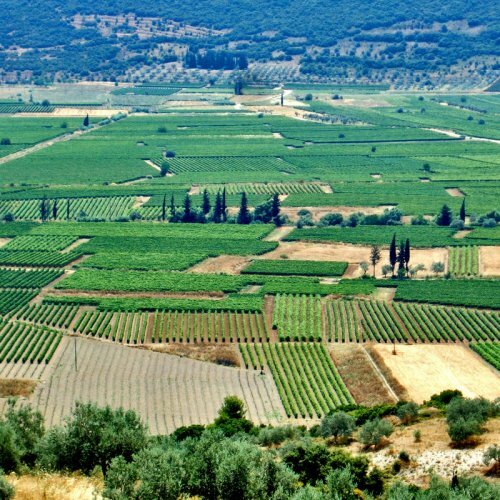 Adventure tours near Athens. Hiking and cycling day or half-day escapes throughout the year! Our walking and cycling adventure tours take you to secret places but also to historical sites of major importance. 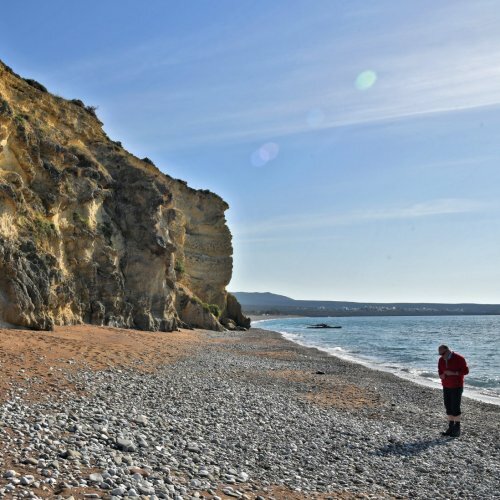 Where history meets legend and where past meets present, we guide you over mountains and seas, through picturesque landscapes and shady woods, to remote fortresses and lonely chapels, onto ancient trails and historical places. Hidden treasures near Athens! Private departures every day! 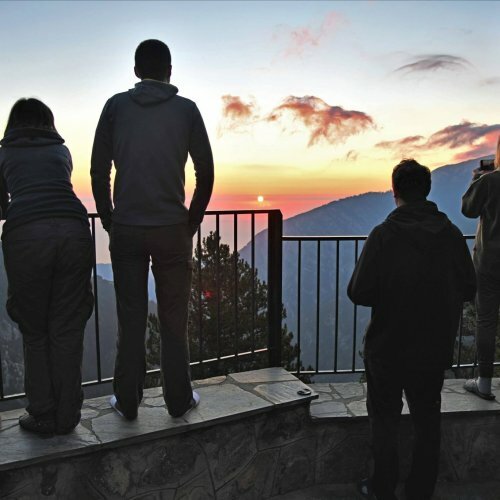 Mount Olympus, the Meteors, Thessaloniki and Chalcidice; hiking, culture and swimming! Go hiking and cycling through untouched landscapes, swim in crystalline waters, get guided tours in historical places, enjoy the breathtaking view to all the directions, discover hidden paradises of extreme natural beauty. Travel with us to the Cyclades where there is always more to explore! 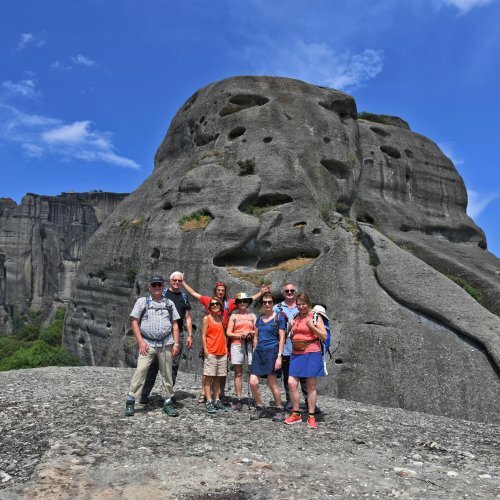 A beautiful hiking and culture adventure in mainland Greece, on May 2018 with a small group of beautiful people. Hiking and culture spring holidays to the island of Cytherian Aphrodite, with our beloved guests from Cologne. April 2018. It was a pleasure to welcome you once again to our beautiful country! 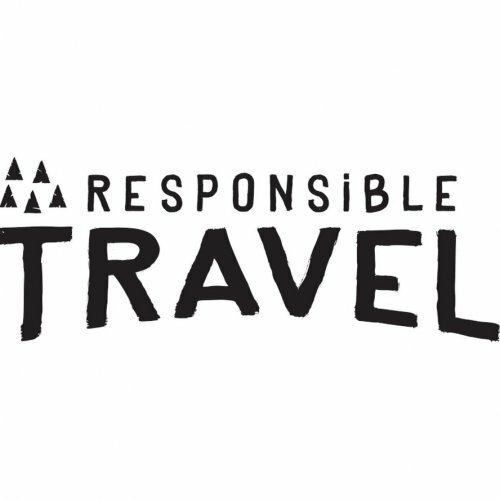 Your Responsible Active Holidays in Greece! 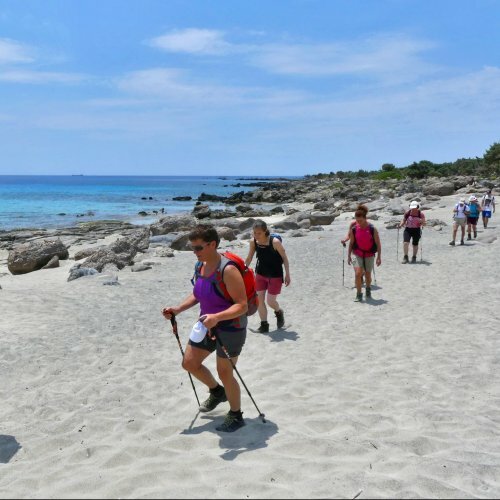 Our beautiful walking & cultural journey in Karpathos and Rhodes, our unforgettable hiking tour in Naxos and Amorgos and our beyond the ordinary walking holiday in Kythnos are featured now at Responsible Travel. 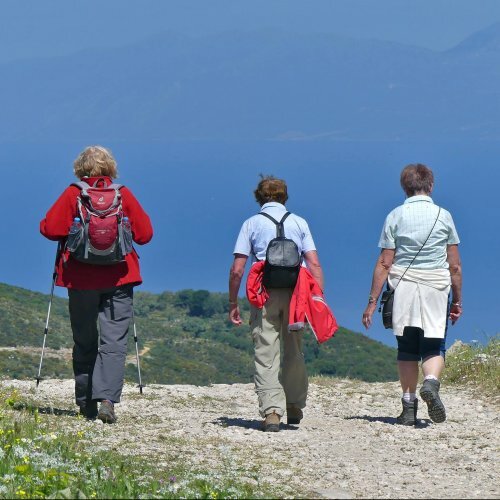 One-week small-groups walking holidays in Northern Greece. During this trip our guests have the opportunity to visit some of the major natural and cultural highlights of the northern part of Greece. 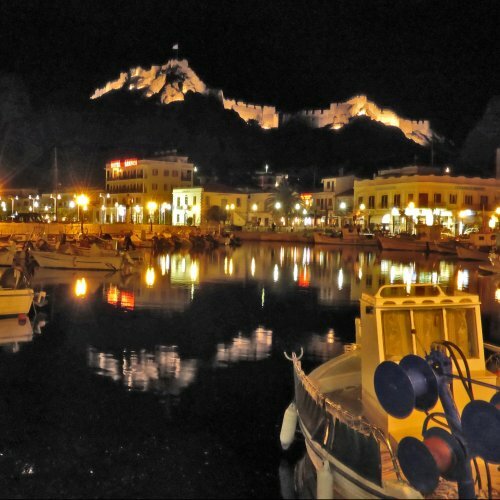 Mount Olympus, the Meteors and Chalcidice! 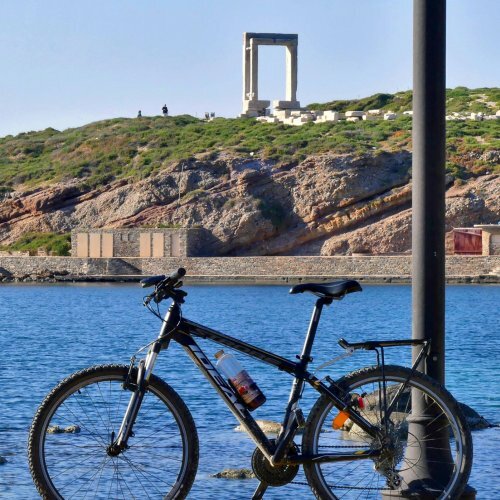 An adventure cycling tour on Paros and Naxos. Last April we mapped the routes using GPS for our bicycle tours on the Cyclades. Our new road-book is ready for our guests. Enjoy some pictures from the islands of light! 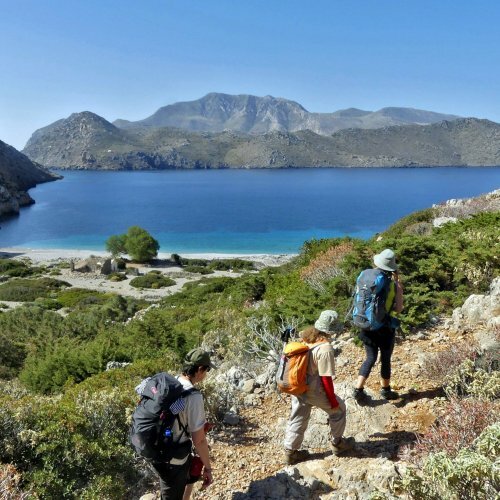 Trekking in the unique scenery of the south-west coast of Crete with its wild gorges, breathtaking beautiful coasts, unique ecosystems and its often exotic character. Photos from our recent short stay on the island of Spetses. Enjoy! A beautiful island near the east coast of the Peloponnese. Spetses, with its picturesque main town with the old mansions is a green island where its pine forest meets the crystalline sea waters. 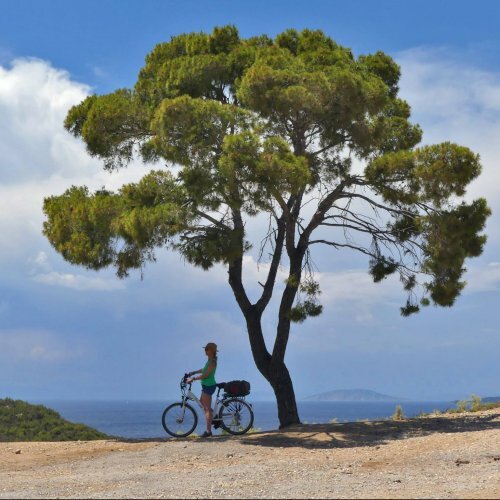 Due to its mild relief it is an ideal destination for cycling holidays, though it has some very nice off-roads. Cultural and walking tours in Corfu, which conserves its picturesque old villages and the medieval town. Its endless nature offers the ideal conditions for hiking and eco-tours. In the heart of winter, let’s plan your Active Spring Holidays! 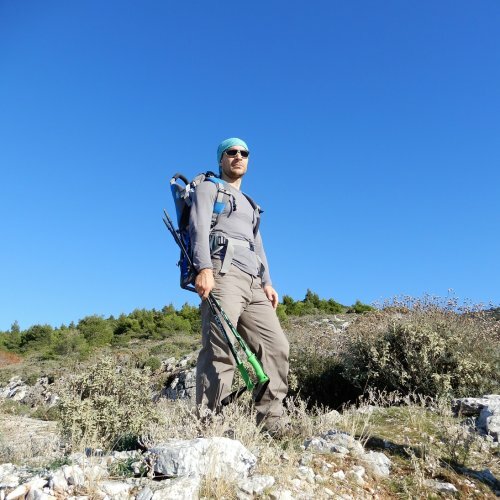 An one week hiking and cultural trip on the island of Karpathos. 7 days & nights / 12 - 19 April 2017. A Fly & Drive journey out of the ordinary! Only from 337 € per person! Two weeks hiking and touring on the islands of the Northeastern Aegean Sea. 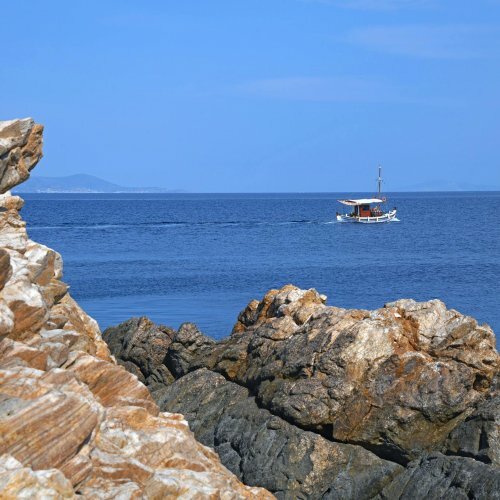 7 days on Lemnos, 3 on Thasos and 3 in Samothrace. Inhabited since the prehistoric times, rich in history and legends, with their unique ecosystems, these three island are ideal destinations for an adventure out of the ordinary. Spring, Summer, Autumn, Winter. Every season has its unique color. Trust your Travel Agent to select the most interesting destinations and better season to visit, to choose for you the most suitable accommodation and transport, always according to your interests and wills.